← Awesome Uncharted Fan Film with Nathan Fillion! It’s that time of year again! San Diego Comic-Con is burning up the pop culture charts this weekend, and once again, I’m stuck here on the entire opposite side of the country! To compensate for my absence, I’ve been working on my own tradition for this week: designing my own roster for famous superhero teams! This year, we’re going to do the Exiles! In the past, I’ve done the Defenders, the Avengers, the Justice League, the Fantastic Four, the Teen Titans, the X-Men, X-Force and the Sinister Six! The Exiles are a team of alternate reality versions of famous superheroes who are banded together to travel the Multiverse correcting mistakes and having wild adventures. The original Exiles team back in the early 2000s was my favorite comic at the time and ran for over 100 issues! But every attempt Marvel has made to relaunch the team has ended in failure. And I was recently pretty mean to the latest relaunch attempt in my weekly comic reviews. So I’ve decided to put my money where my mouth is and offer my own take on the Exiles lineup! Join me after the jump for my pick of weird, alternate reality versions of popular characters who I would bring together to form a new Exiles! And feel free to share some of your own fantasy roster in the comments! Who is she: Clarice Ferguson is a mutant with purple skin and the ability to create portals for teleportation. She originally appeared in a very minor role at the start of Generation X in the 90s and was killed off. But then when the Age of Apocalypse alternate reality kicked in, Marvel turned that throwaway nobody into one of the stars of the entire event. 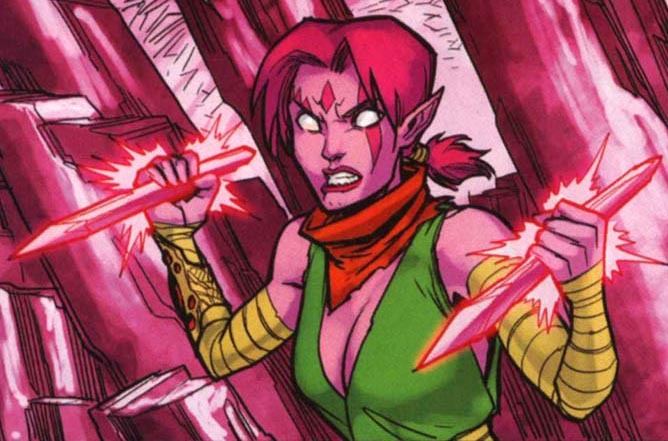 AoA Blink was a badass X-Men warrior, was the star of the original Exiles comic and has been the foundation of the Exiles in nearly every incarnation. Why pick her: Blink is the heart of the Exiles and I see no reason to change that. She’s a really cool character with an awesome history, and keeping her at the head of the team as some sort of eternal Multiverse champion sounds perfectly fine to me. She’s already a badass, but she’s also got plenty of heart and is a solid leader. Who is he: Calvin Rankin was a frenemy of the original X-Men, gifted with the ability to copy the super-powers of anyone he is around. His partnership with the X-Men didn’t last long, and he eventually faded into the background. Sometimes they’d use him as a reluctant bad guy, sometimes he would be a misguided good guy. In the regular 616 Marvel Universe, the Mimic has always been a very low key player. But on the original Exiles team, an alternate reality version of the Mimic was one of the longest-serving members. That version of Calvin Rankin was a bonafide hero and a pretty great guy all around. But he was eventually killed in battle. Why pick him: One thing that Exiles doesn’t do a whole lot of is have classic Marvel characters meet their alternate reality doppelgängers. 616 Blink is dead (or was), so she can’t meet Exiles Blink. And Exiles Mimic died before ever meeting 616 Mimic. So I think it would be kind of nifty if one of the new team members was the 616 version of an old Exiles member. 616 Mimic would have no idea what he was getting into, whereas all the classic Exiles team members would have to get used to the fact that a new, less-than-awesome version of their old friend was suddenly on the team. It would be especially hard for Blink, because she and Exiles Mimic were lovers back in the original series. Having to team up with 616 Mimic would be a nice complication for our team leader. Also, it doesn’t hurt that the Mimic is one of my all-time favorite comic book characters. So adding him to any team is just something Marvel is going to have to accept when they hire me to write for them. 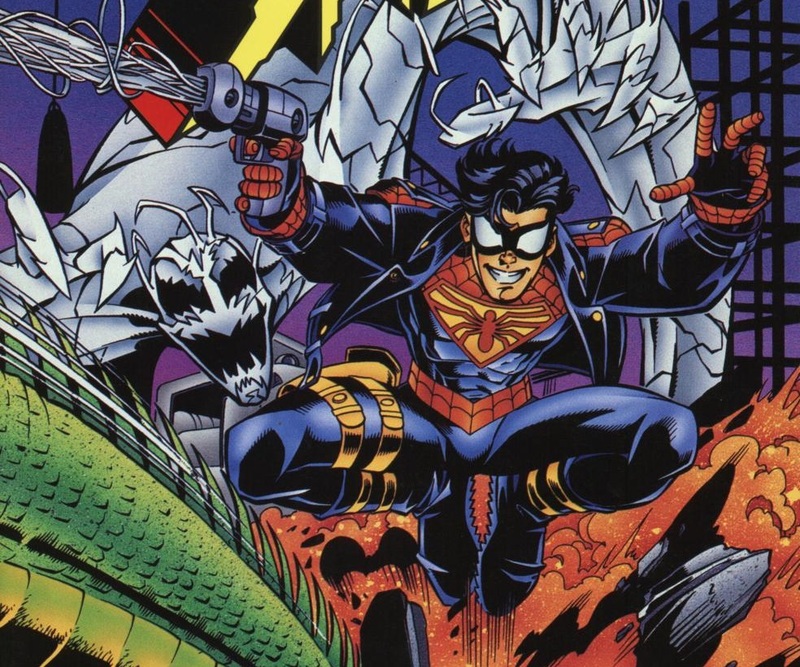 Who is he: Spider-Boy hails from the awesome and amazing Amalgam Universe! Way back in the 90s, Marvel and DC collaborated on a big Marvel vs. DC comic book event, which resulted in the Amalgam Universe, which contained combined characters — like Wolverine crossed with Batman, Superman crossed with Captain America and so on. Amalgam is one of my favorite bits of comic book lore. Spider-Boy was one of the few Amalgam comics I actually owned, making him one of my favorites immediately. Pete Ross was a cross between Spider-Man and the 90s teen Superboy. He is a clone of lab tech Peter Parker and Super-Soldier (the Amalgam Captain America/Superman), and he’s a hip, free-wheeling, pure 90s teen hero. He’s awesome. Why pick him: The Amalgam Universe is sadly underrepresented in the 21st century, because Marvel and DC don’t play nice together anymore. But I would move hell and high-water to get an Amalgam character on the Exiles, because there are few existing alternate realities more awesome than the Amalgam Universe! And Spider-Boy would fill the fun, youthful, quippy slot on the team. 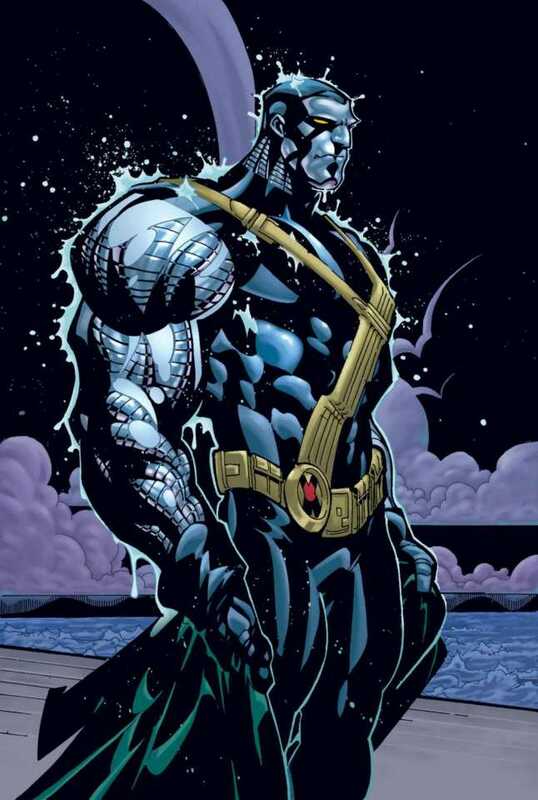 Who is he: Similar to regular Colossus, Ultimate Colossus is a mutant strongman who can turn his body into organic metal. He’s a somewhat stoic Russian who tends to just be plugged into the team. I can’t even remember if he had any big storylines in Ultimate X-Men. The biggest change is that Ultimate Colossus is gay. Why pick him: First and foremost, Ultimate Colossus fills the strong guy role on the team. Always gotta have a strong guy. It’s an Exiles tradition. And I wanted to include somebody from the Ultimate Universe, because I’d say its fair game for the Exiles these days. And I wanted a gay character on the team, because I want that kind of diversity on my team. And Ultimate Colossus fulfills all those wants! 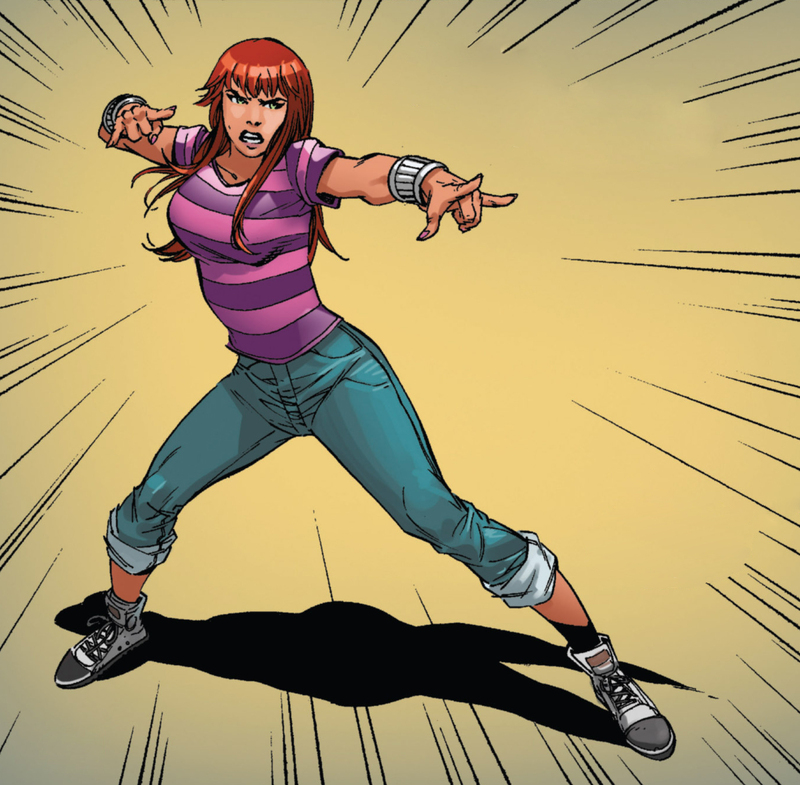 Who is she: Mary Jane Watson is the classic girlfriend/wife of Peter Parker/Spider-Man. The version that would show up in my Exiles is an original version I’ve created myself. I’ve had this character idea since the original Exiles and I think it’d be pretty neat. Basically, a lot of Spider-Man’s classic villains — Doctor Octopus, Vulture, Scorpion, Shocker, Green Goblin, etc. 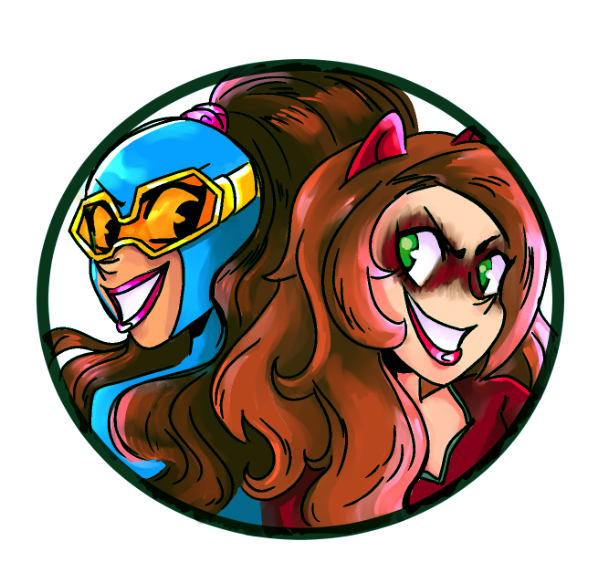 —get their powers from gadgets and technology. So my thought is, what if someone defeated all of those villains and gathered their technology in tandem? An entire Sinister Six compressed into one character, with Doc Ock’s arms, Vulture’s wings, Scorpion’s tail, Shocker’s gauntlets, a Goblin Glider and more! That’s my original Exiles character. In my version, Mary Jane Watson survived after the Sinister Six killed her husband, Spider-Man. So she hunted them down one-by-one and murdered them, taking their equipment for herself — like Mega Man! Now she’s a one-woman super-villain army! Why pick her: I decided to get a little selfish and include two original characters on my team roster. I think the Exiles calls for that sort of thing. Include some existing alternate reality characters, sure, but I want to be able to have some fun with it. And I’ve been sitting on this Mary Jane idea for years! I just like it. I can’t believe they haven’t done something yet where somebody combines all of the tech from Spidey’s villains. And I think a vengeance-filled Mary Jane would be a great choice! Who is he: I’m not even sure. I don’t have this one all planned out. 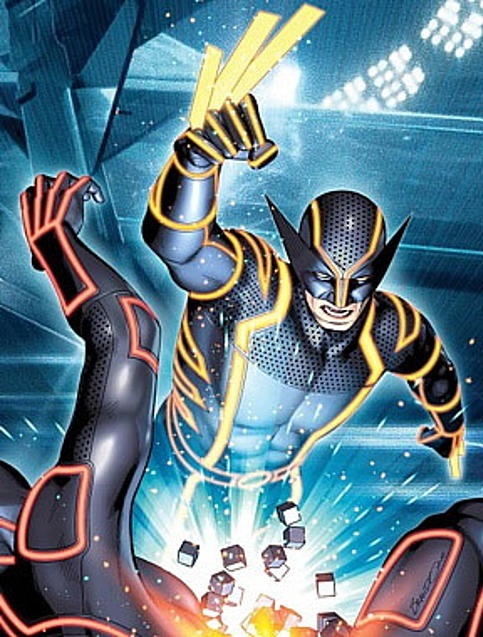 I just want to continuously push the idea of Wolverine with lightsaber claws until it becomes a thing. How is this not a thing yet?! Disney has owned both Marvel and Star Wars for years now! How has there not be some kind of canon version of Wolverine where he has lightsaber blades for claws? They sort of did it with future Gabby in a recent issue of All-New Wolverine, but it’s not the same. I want three claw blades on each hand, made of lightsaber. It’s iconic! So I dunno…maybe he’s Logan from some sort of Marvel/Star Wars combined universe. He’d be a Jedi…or not. I don’t know. Don’t put that kind of pressure on me! Just a Wolverine with lightsaber claws! Why pick him: Lightsaber claws should speak for themselves. 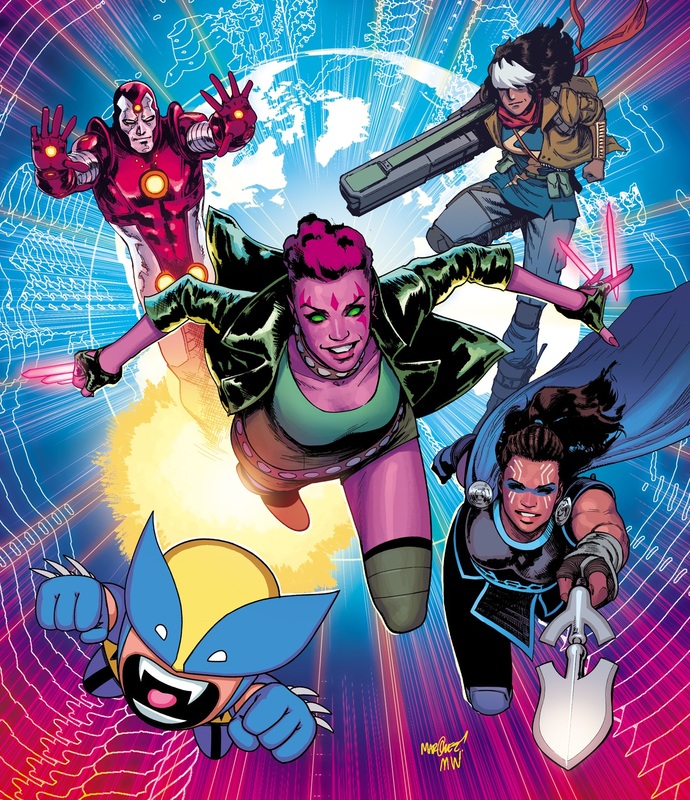 Posted on July 18, 2018, in Comics, Lists of Six!, Marvel and tagged Exiles. Bookmark the permalink. 1 Comment.